The polyphagous shot hole borer was recently identified in samples from the KwaZulu-Natal South Coast by the Disease Clinic at the Forestry and Agricultural Biotechnology Institute (FABI). Dr Gerda Fourie from FABI (University of Pretoria) and Dr Elrea Strydom (SAMAC Research and Development Manager) visited the area on Monday and Tuesday 11-12 March to engage with stakeholders and assess the situation. Several farms were visited and samples collected, but no additional infections were identified. The situation will however be monitored continously, and pheromone traps will be put out in spring for surveilance. 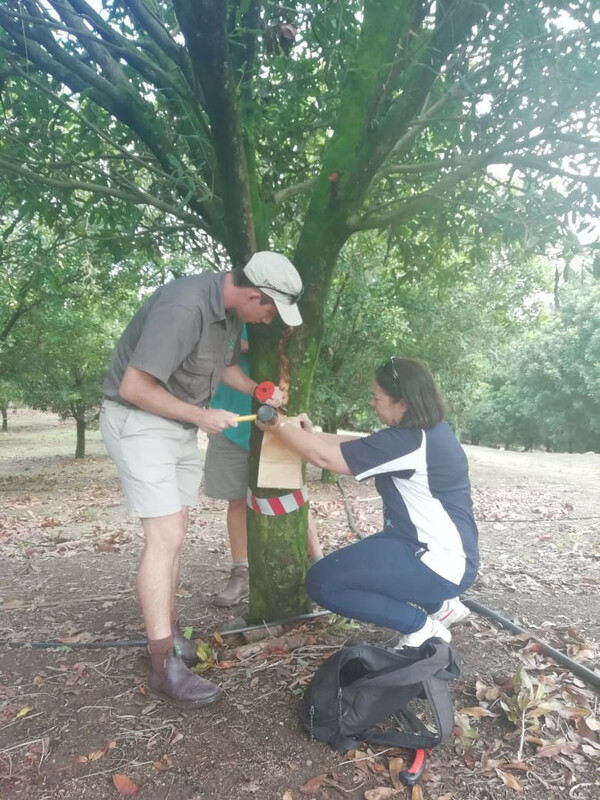 Dr Gerda Fourie has also initiated a cultivar trial to determine whether some cultivars show tolerance or resistance towards the shot hole borer's symbiotic fungus, Fusarium euwallaceae. Growers are encouraged to send samples of any suspicous symptoms to Dr Gerda Fourie. Fact sheets on the polyphagous shot hole borer and the collection of samples were shared in the SAMAC R&D newsletter.